LinkedIn is a social media website that’s built around its user’s professional networks. Individuals can connect with current and former colleagues, join industry groups, and search and apply for jobs with businesses on the platform. And as a small business, you can leverage the platform to find your next employee from its captive pool of candidates. During the hiring process, you’ll want to keep track of your correspondence, interviews, and notes with an applicant tracking system. Freshteam is a LinkedIn partner that lets you post job openings on the site absolutely free. Applicants are then imported directly into Freshteam so you can schedule video interviews, store resumé information, collaborate with your hiring team, and send job offers all in one place. Click here to start a free account. In this article, we’ll show you how to make the most of LinkedIn to find your next employee. Small businesses can use LinkedIn to recruit their next employee in a few different ways, depending on which level of service they subscribe to. The free basic service allows you to contact users who are within your professional network of connections. Premium and Recruiter add additional features, such as LinkedIn InMail, that expand the pool of candidates you can contact and how you can contact them. LinkedIn’s Premium and Recruiter plans offer some additional features, which we will discuss below. However, there are several steps you could take with their free plan first. Here are some general tips that can help you in your search for your next employee, regardless of which LinkedIn plan you subscribe to. There are some steps you can take to find and pursue your ideal candidates, even if they’re not actively looking for a new job. Also remember that it’s not enough just to build your page — you need to keep it updated too. Be sure that your business’ location, contact information, and any current job postings are up to date. Also, consider highlighting any past work that you’re proud of. Send an invitation to connect to anyone you’ve worked with in the past or present, especially those that you’ve developed a positive relationship with. Because LinkedIn relies on connections within your network, growing your network should be your first step in finding new employees. 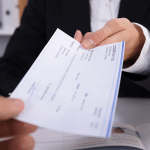 These connections can introduce you to job seekers they know, or you may find that a former colleague is looking for a new opportunity. So how do you contact those who you haven’t met but would like to, such as job candidates or freelancers you’d like to employ? 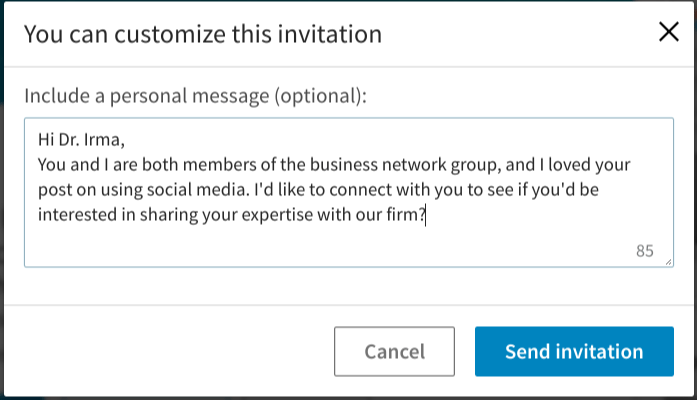 LinkedIn allows you up to 300-characters to use in your connection invitation request to share who you are and why you’d like to connect. Therefore, we recommend you personalize your invite. Then send it and hope they accept. Find great candidates even if they haven’t yet applied to your job. The right candidate may miss seeing your job ad on a job posting site, or they may not be actively looking for a new job at the moment. Perhaps they would be interested if the right opportunity came up? LinkedIn members can choose yes on the job seeking option under privacy in their account settings to let recruiters know they’re open to a new job. Gallup polls show that 51% of people are considering another job. These are referred to as passive job candidates — that is, they may want a new job, but they haven’t started looking for one yet. That means you’ve got a 50/50 chance that any professional you contact on LinkedIn may be open to a good opportunity. Once you’ve identified a potential candidate, check their profile to see if you have any connections in common. If you do, reach out to that connection and ask that they introduce you. Not only will this put you in contact with the candidate, but the connection you share in common can validate your business’ reputation. 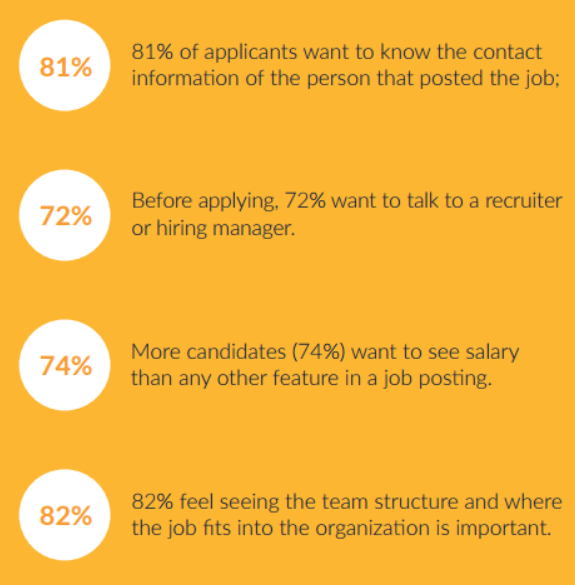 Below you can see data from RecruitLoop showing what job candidates want to know. You can search for candidates by skills, job titles, previous employers in your industry, or almost any other keyword that the candidate may have in their profile. 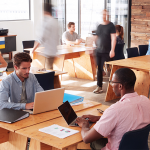 If you’re looking for a project manager, an HR rep, or a social media guru, the best of them are likely active members within their relevant industry groups. Some of those group administrators may be happy to have you join as a potential employer of group members. Although it may feel a bit like stalking, you can read their posts, weigh in on their conversations, and contact those that you feel might be a good addition to your team. There’s an implied understanding that this will occur given that LinkedIn is primarily a networking tool. LinkedIn groups are where you’ll find thought leaders, available workers, and people who can help you network to find your next employee. 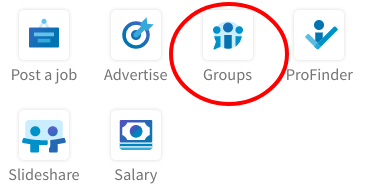 Of course, LinkedIn has lots of other features that we’re not covering in this article, such as their salary tool, but Groups is a good one to start using. For example, if you’re looking for a marketing expert, join a group like Social Media Today; or if you’re looking for a project manager, try joining the Project Manager (PM) Network. 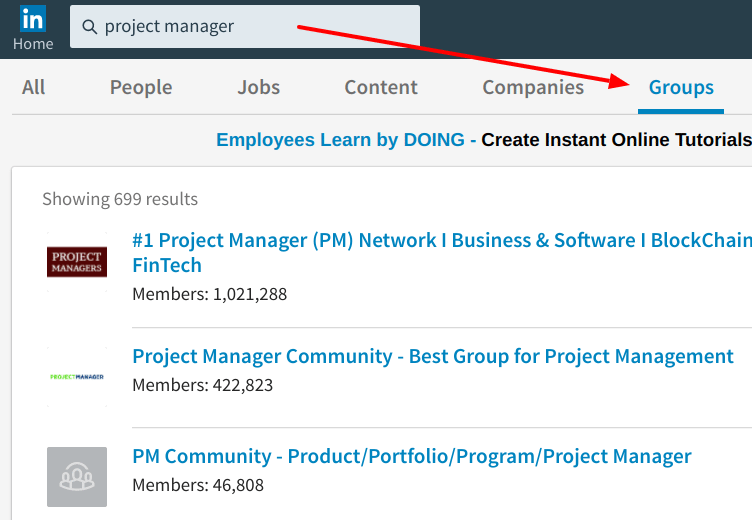 It’s as simple as typing the kind of industry, such as ‘engineering,’ or job type, such as ‘project manager’ into the search box and then selecting Groups as shown below. Consider asking your employees to activate their current networks by posting positive information about you and your company on their profiles. About half would happily do so according to Glassdoor. Why ask employees and not you or HR to share company information? Because research from Glassdoor shows that prospective employees are likely to believe people who work in your company over its executive team. And if those people are also family members, then that makes them very trustworthy. Asking your most passionate employees to promote your company on LinkedIn may prove more successful than simply putting out job ads. If you don’t ask employees to take positive action, they probably won’t. In a 2014 article, Weber Shandwick reported that 39% of employees have shared positive praise about their employer, but only 33% of employers actively encouraged employees to do so. When employers encourage employees to promote the company on social media, there is a 50% increase in social sharing by employees. Glassdoor reports these additional benefits. LinkedIn is a great place for employees to share their positive feedback about you and your company and could be a difference maker in your business’ ability to attract top talent. You may already be posting jobs on free job search websites like Indeed or paid job advertising sites like ZipRecruiter, so use LinkedIn to do research on any job candidates that have applied. LinkedIn can help you determine which applicants are truly experienced based on their profile versus those who have merely mocked up a great-sounding resume. Of course, not everyone keeps their profiles up to date, so consider LinkedIn as just one data source. You could also use LinkedIn InMail, a feature of LinkedIn Premium, to contact their former employer, co-worker, or others who have left positive feedback on their profile. LinkedIn offers several subscription plans. For example, upgrading your plan to LinkedIn Premium will unlock a valuable feature — InMail. InMail is LinkedIn’s messaging tool, which allows Premium subscribers to send messages to users that they’re not yet connected with. If you’ve found a candidate that you’d like to pursue, but you don’t share a connection to introduce you, then InMail will let you reach out to them. LinkedIn offers an additional tier of service for businesses that are looking to hire new employees: LinkedIn Recruiter. However, for most small businesses, we recommend LinkedIn Premium. It offers the additional features to their free basic plan that you’re most likely to use, such as InMail, but keeps the cost relatively affordable compared to LinkedIn Recruiter. 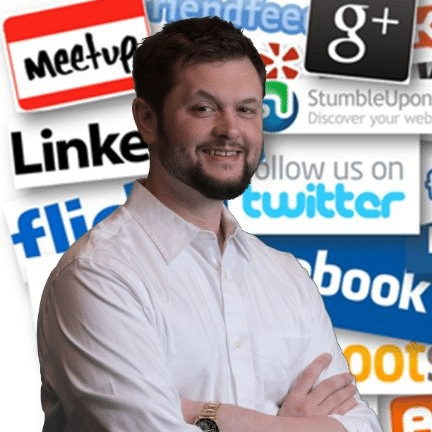 What Does LinkedIn Premium Cost? LinkedIn Premium ranges from $47.99 per month for the Business plan to $99.99 per month for the Executive plan, but the only difference between the two is that with Business you get 15 InMails each month whereas with Executive you get 30. Let’s compare the cost of LinkedIn Premium shown above to hiring a recruiter at $48,100 per year (salary estimate per LinkedIn’s Salary Tool); paying a recruiting firm 30% of a hired person’s first year salary; or joining a job search site like ZipRecruiter, which would cost you $249-$349 per month and still limit the number of resumes you could view. Check out our ZipRecruiter Features & Costs article for more details on their options. Here’s what you get with LinkedIn Premium and how each of these may be helpful to you as a business owner or HR rep trying to recruit new employees. InMail is LinkedIn’s proprietary email system that lets you contact someone through the site without exposing your personal email address. When you send an InMail, it goes directly to the email account that the recipient has on their LinkedIn profile. It’s like emailing them directly, but without exposing your own email address or theirs. 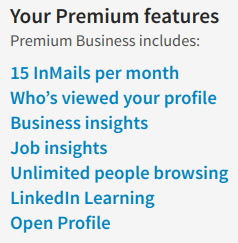 The LinkedIn Premium Business account gives you 15 InMails per month, whereas the Executive account gives you 30. Being able to contact anyone you want without having their email address can be extremely helpful when you’re searching for a top-notch employee in a sea of professionals. Of course, you can send a message to any of your existing connections for free using LinkedIn. But if you want to connect with someone outside of your network, you’ll need LinkedIn Premium. Consider these tips to make your LinkedIn InMails more effective when recruiting. You can download and customize our free LinkedIn InMail template in Microsoft Word or PDF format here. Use this LinkedIn Premium feature to identify people who are looking at your business or your personal profile — they may be job seekers! Send them an invitation to connect for free, or send a longer message using LinkedIn InMail to introduce your business and any available positions. Read what LinkedIn says about your business or check out companies you want to recruit from, especially if they’re laying off the kinds of employees you need to hire. Looking at business insights helps you choose what to change in your own company to make it more appealing to job seekers. This is a tool that allows job seekers to check out your job postings and your company. Make sure everything you post on LinkedIn showcases your company as a great place to work for when job seekers use the Job Insights option, because they probably will. With LinkedIn Premium you can browse profiles of individuals you might like to hire. You can invite anyone to connect with you, up to a 3rd degree connection. And you can send InMails to those you’re not connected with. This allows you to attend business training courses at no additional charge. There are over 600 courses on recruiting alone! Setting your LinkedIn Premium account to ‘open profile’ allows others to contact you without using their LinkedIn InMail credits, making it more likely that job seekers will contact you. In addition to all the great features of using LinkedIn Premium, you can view anyone’s profile and even contact people, like job seekers, that you haven’t met yet. LinkedIn Premium isn’t the only paid service you can use on LinkedIn to help find your next employee. If you’ve got a larger budget, plan to do a ton of hiring, or are in the recruiting business, you’ll want to check out LinkedIn Recruiter. 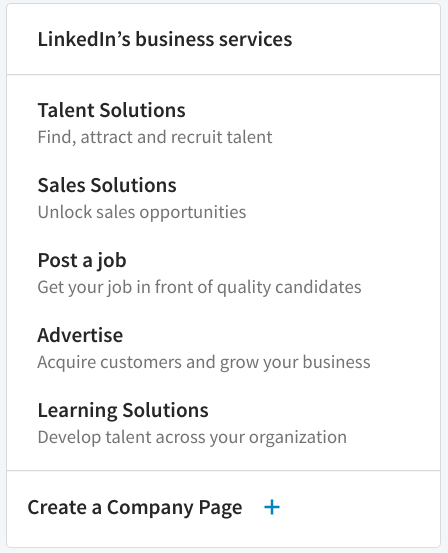 It’s one of many LinkedIn Talent Solutions that includes products such as Job Slots and Paid Job Ads. What Does LinkedIn Recruiter Cost? LinkedIn Recruiter comes in two versions — Lite, which costs $99.95 per month, and Corporate, which costs $825 per month. LinkedIn Recruiter is feature rich and offers more than a typical small business owner would need, especially when websites like Indeed allow you to post jobs and view resumes for free. You receive the same number of InMails (30) with Recruiter Lite as with LinkedIn Premium Executive, but Recruiter Lite costs $20 more. Unless you’re a recruiting company or plan to recruit more than say 100 new hires a year, the Recruiter Corporate membership at $999.99 a month is overkill for a small business. That being said, $12,000 a year is still less than paying for a full-time recruiter or staffing firm if you’re looking to hire an executive, since staffing firms charge up to 30% of an executive’s first year salary as their fee. With LinkedIn Recruiter, you’ll get to search and contact candidates using InMail, not unlike LinkedIn Premium. The only real benefit of Recruiter Lite over LinkedIn Premium is the ability to save your searches, get a few more InMail credits (30 total), and save templates of the InMails you send most often. But it’s really no better than LinkedIn Premium’s Executive Plan, which costs less. It’s not until you upgrade to Recruiter Corporate that you get any real additional recruiting benefits, such as applicant tracking, a talent pipeline, multiple users, and the option to get feedback from managers during the interviewing and hiring process. While LinkedIn Recruiter is a good option for recruiters and big companies, we recommend LinkedIn Premium for most small businesses. There are plenty of other less expensive HR and applicant tracking options for small business owners to consider. Don’t waste prime webpage real estate, such as your photo or description on LinkedIn. Use that space instead to market your company, yourself, and your brand. Get a professional headshot and don’t post summer fishing pics of you wearing shorts (unless fishing charters are your business). Don’t be a spammer. When contacting job candidates, avoid using automated email features. Craft each InMail or message unique to the person you’re contacting, just as you would expect a job seeker to do for you. Don’t squander your InMails. Find out if the individual wants to connect with you first using the free invitation to connect feature. If they don’t accept your request to connect, you’re probably not going to get a response via InMail either. Don’t sound like a sales pitch. Personalize your messages and make it clear what you find unique about the person you’re contacting. Be interested and interesting. Don’t post unprofessional text or links on your LinkedIn profile, a group post, or within an Inmail or message. If you want to share that your cat has intestinal problems, post that on Facebook — not LinkedIn. Consider other social media sites, such as Snapchat, Twitter, Facebook, and Instagram for those clever family updates and snarky political remarks. LinkedIn is a social media platform that’s built on your professional contacts. Users can connect with current and former colleagues and businesses can represent themselves with their own page. Because of this, LinkedIn is also an ideal way for job seekers and businesses that are looking to hire to connect. Remember, keeping track of job postings and applicants is always easier if you’re using an applicant tracking software. Click here for a free Freshteam account that will allow you to track up to 50 employees.